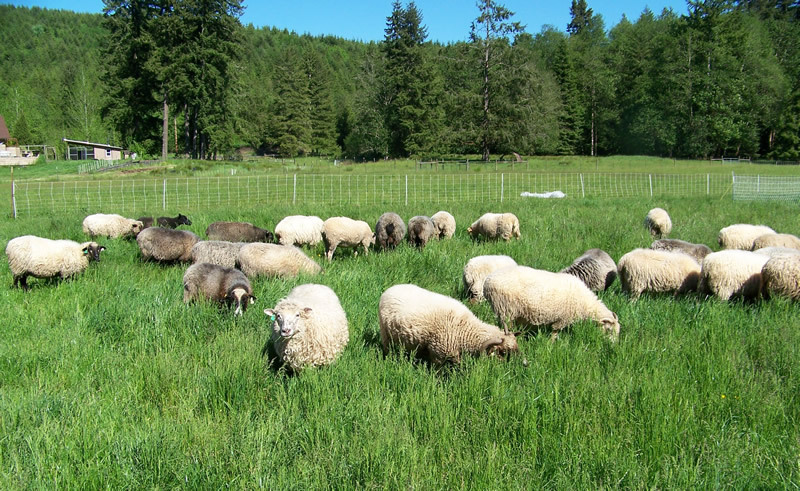 We are a small farm dedicated to raising heritage breeds of sheep for wool and breeding stock. As the shepherdess developed a fiber preference for her weavings, Navajo-Churros became the breed of choice. Navajo-Churro were brought by the Spanish Conquerors to the New World because of their usefulness. 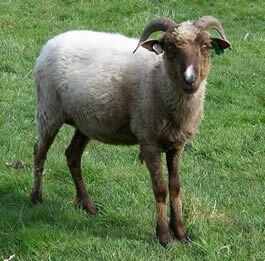 We currently have about 30 breeding ewes, of which all but a few are purebred Navajo-Churro. We also have 3 purebred Navajo-Churro adult rams, about 20 yearlings and we’re currently lambing with 14 lambs on the ground so far (as of 3/25/12). We also keep a small flock of laying hens (about 15.) 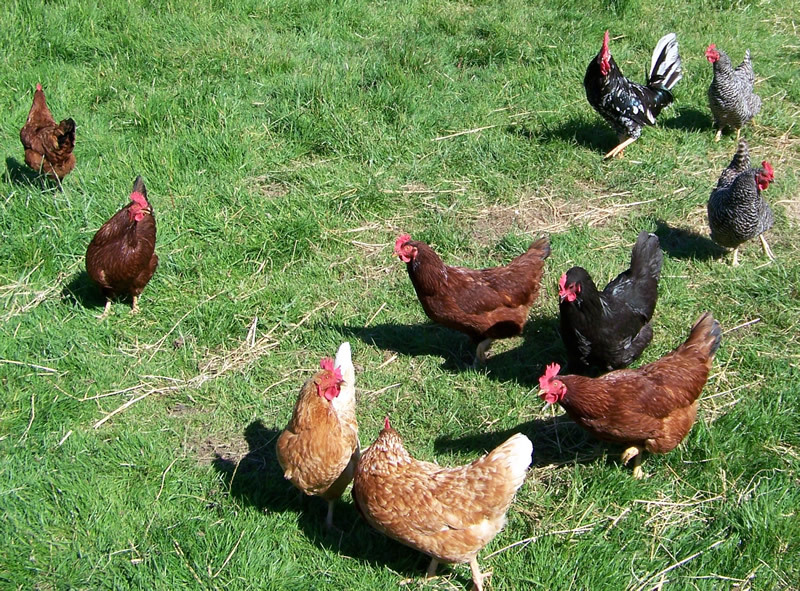 Each year during late spring and early summer we raise pastured poultry for meat. This year we plan to raise about 150 meat chickens for processing mid-summer. If you are in our area and would like to order lamb or chicken, please contact us for more information. Hello!! I was showing your website to a friend of mine @ work, telling her about how you use the wool you grow to make beautiful area rugs & there’s no samples of your rugs!!??!! Anyway, I need to call you for long chat! Are you done with lambing yet? Now remember, add lambs, take away ewes & rams! Hee-Hee-Hee! And how is school going? Sure do miss you! I’ll give you a call Mon nite. See ya!! Hi Lucy, Nice to hear from you! You can see some of Kim’s rugs on her Studio site here: http://www.mtn-niche.com/studio/gallery.php . We’re currently about half done lambing (11 of 21). It’s gone pretty well so far with only one significant problem (a breech birth resulting in one stillborn lamb.) We’ll post more pictures of the new lambs soon.